Unbelievable psychic abilities. A dark and dangerous force. These are the things that make up Kageyama Shigeo, a.k.a. Mob. But despite his great power, Mob only wants one thing to be cool! 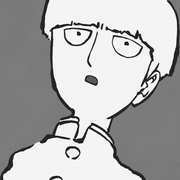 Like any other adolescent boy, Mob has a crush on a classmate, but unfortunately, he's the most awkward kid in his entire school. Sure, he can do things like exorcise evil spirits, and yeah, he has a dark hidden power that unleashes when his suppressed emotions hit 100 percent. But none of that matters if he's not cool, strong, or able to impress the girl he likes. 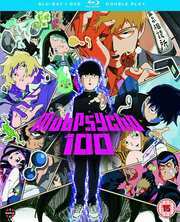 With surprisingly wise advice from master psychic (ahem, master con artist) Reigen Arataka and the help of some quirky comrades, Mob will learn what it means to be a regular kid facing the trials of adolescence oh, and go up against a host of supernatural troublemakers and an underground psychic organisation up to no good. All in a day's work for a top-tier esper.